Born in Lebanon and raised between Saudi Arabia and Canada, Rania Masri began her career in Montréal after completing her luxury fashion Marketing studies. In 2002, Rania moved to Dubai to work with Azadea group, managing regional development for one of the Inditex Brands across the Middle East. 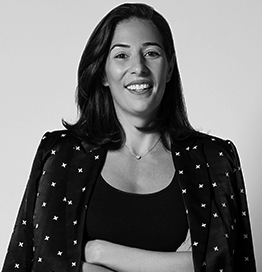 Rania went on to join Chalhoub Group in 2006 to head the Ralph Lauren Middle East operation. During her time at Ralph Lauren she was instrumental in elevating the strategy of the brand within the region as well as leading its ambitious expansion across 10 countries. In 2012 Rania’s new mission with the group was to lead the company’s first ever owned fashion concept, Level Shoes, a now globally recognized retail concept dedicated to the world of footwear. The 96,000 square-foot store offers a curated space divided into 40 designer boutiques and five multibrand areas, with over 250 international and regional designer brands. In November 2017, Rania was tasked to lead a new initiative for the Group called Shift, a digital transformation initiative that will carry the Group into its next steps of growth. Rania is an extensive traveller, speaks four languages and is passionate about the future of fashion and the evolving retail landscape that she has devoted the past 17 years to.